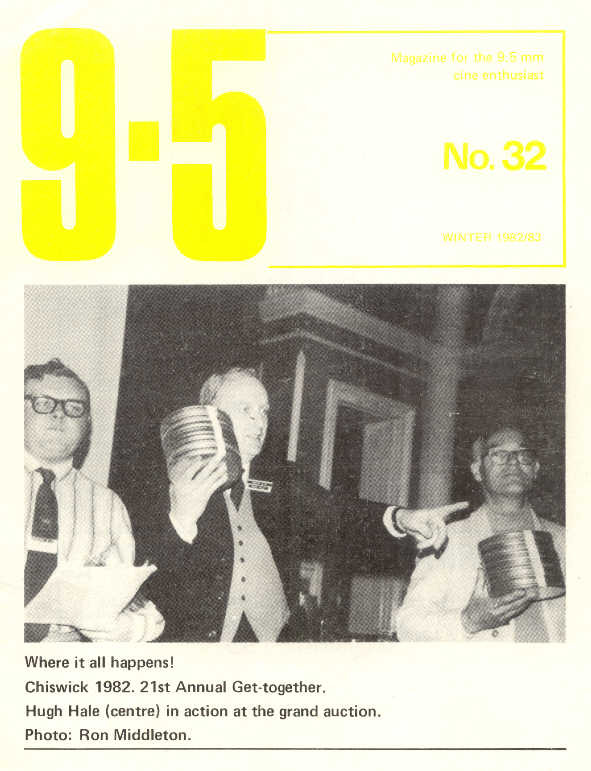 This 1982 Group 9.5 Get-Together was to celebrate 60 years of the 9.5mm film gauge. 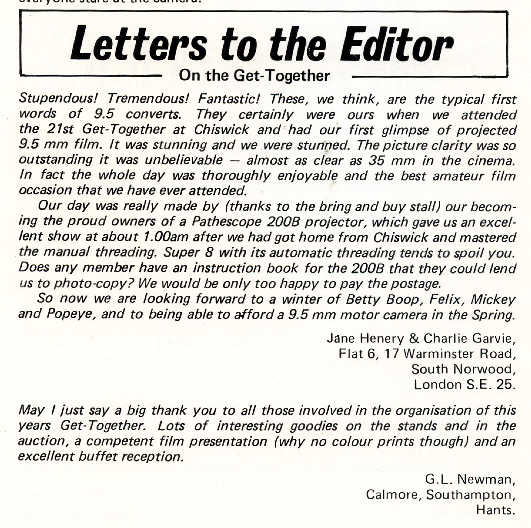 I don't think there was an amateur film competition, instead a bumper film show of various 9.5mm printed films from the past, plus the showing of the Group 9.5 film about the ninefive film gauge - "Lights Out And The Stars Appear". 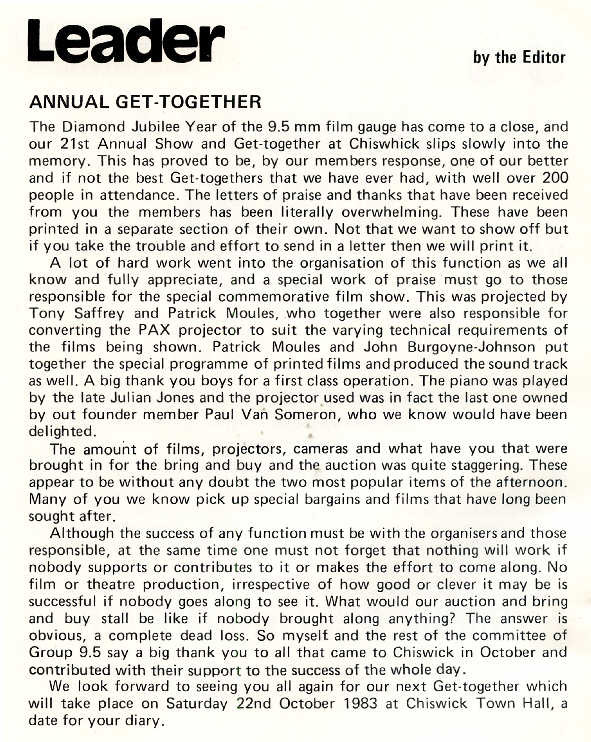 A very successful day, which included an excellent buffet, the next Group 9.5 club magazine contained about four pages of 'thank-you' letters. 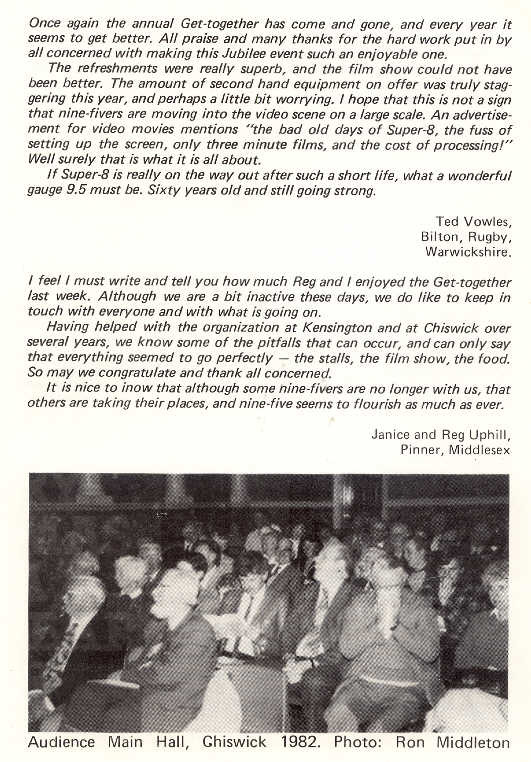 but I wonder who was complaining about no colour films? would help if they spelt his surname correctly! 19Jul2017 - Actual date added!